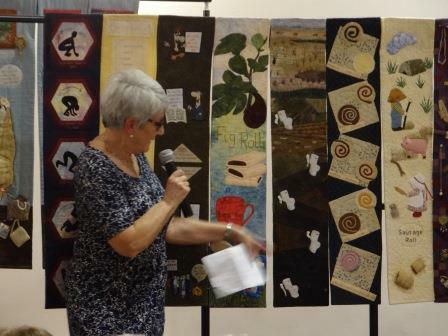 A brilliant evening showcasing members work. 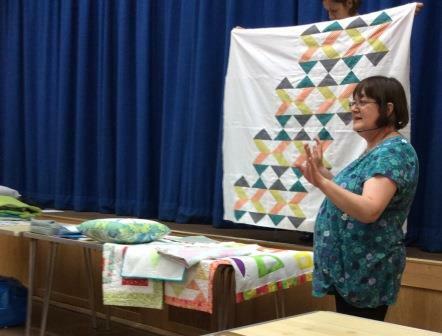 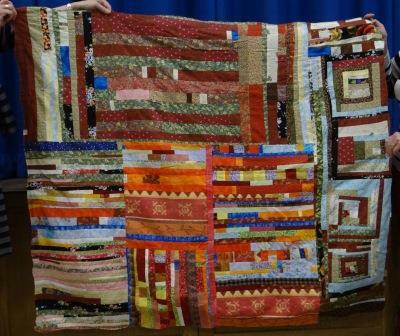 Hazel Williams came along to share her love of Modern Quilting. 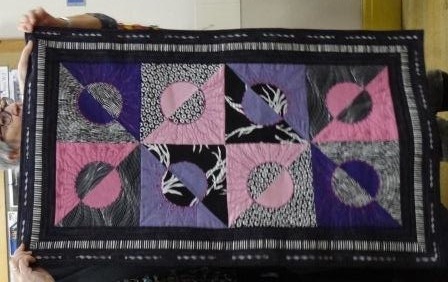 She introduced us to a number of the techniques and showed us an inspiring selection of quilts. 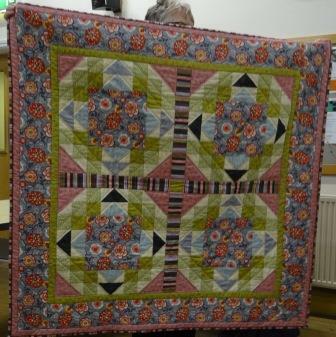 Although Modern Quilting is perhaps not for everyone, it was a really interesting and enjoyable evening. 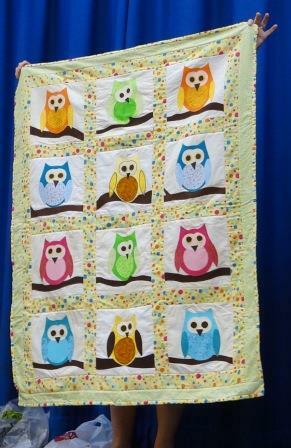 Those members who have signed up for the workshop are sure to have a delightful day. 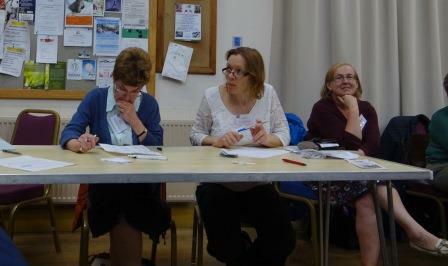 Although our scheduled speakers were unable to attend, we enjoyed a lively club evening. 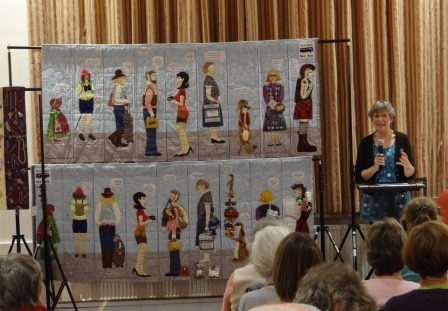 After a cup of tea and a chance to catch up with friends, Sian brought us up to date with news and events before the main highlight of the evening - the draw for places on the Lynne Edwards workshop in November. 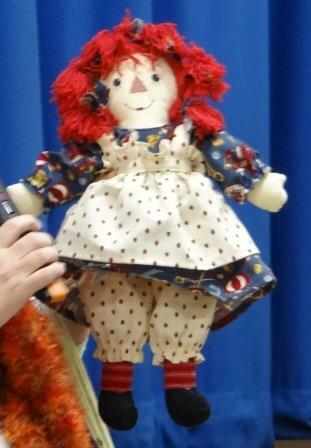 There was an excited buzz as each name was drawn from the box. 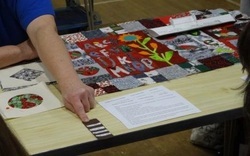 The committee carefully noted the names and an extra five names were drawn for the reserve list. 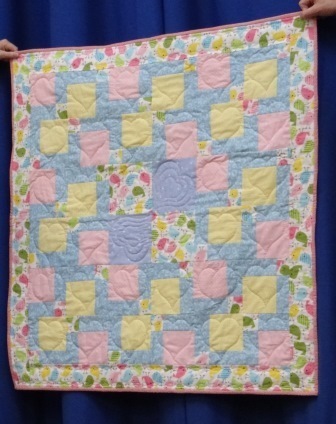 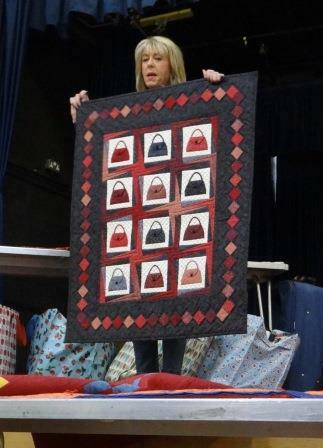 In addition to the regular raffle, there was a lovely quilt being raffled for Linus. 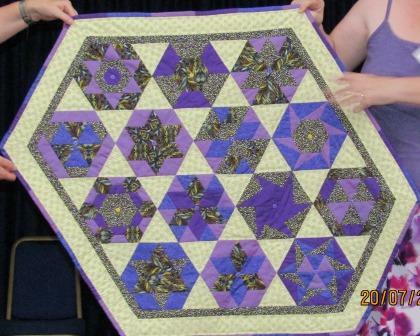 There are a lot of us hoping to be the lucky winner for this. 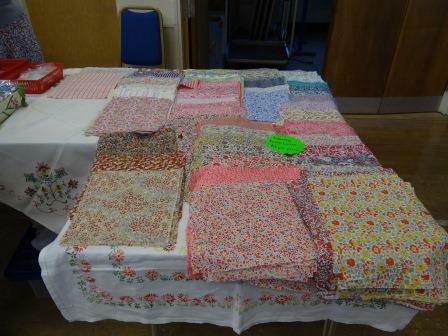 There were plenty of opportunities to acquire fresh supplies with Dot's fabrics, Adele's Liberty prints and a charity table with books, magazines and fabrics. 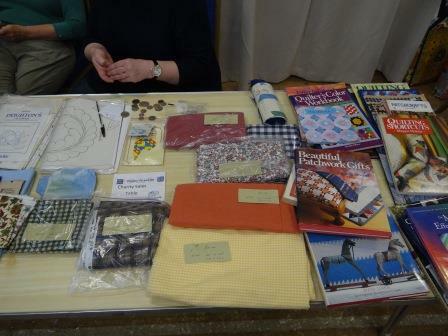 It was really nice to have time to browse. 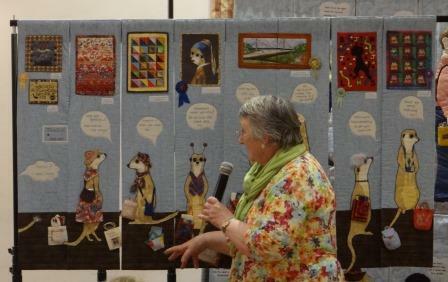 It was a delight to see such a range of her work. After a cup of tea and the opportunity to catch up on news, Fiona took to the stage and talked us through some of the highlights of her quilting journey. 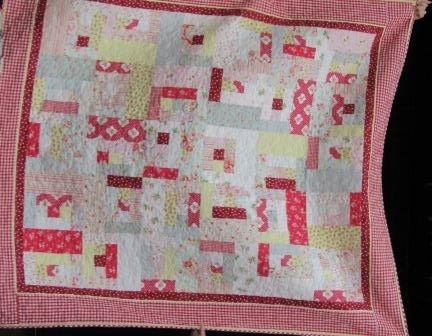 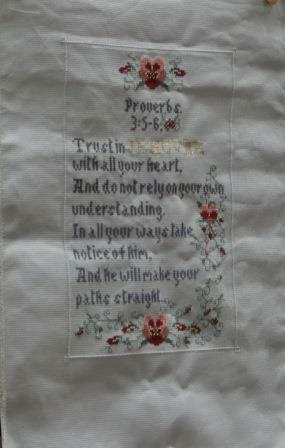 She is a master of "quilt as you go" and the precision in her piecing is awesome. 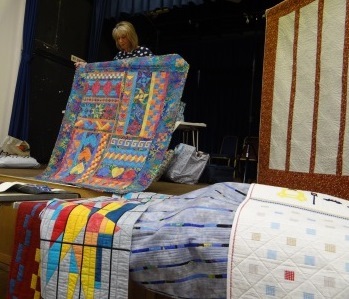 The members signed up for the workshop are sure to have a fantastic day. 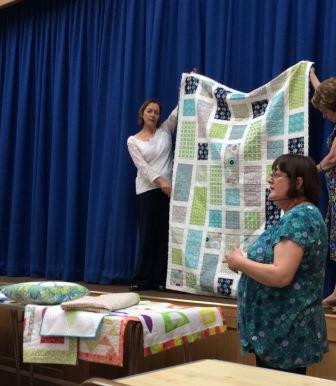 A huge thank you to Fiona for a really inspiring evening! 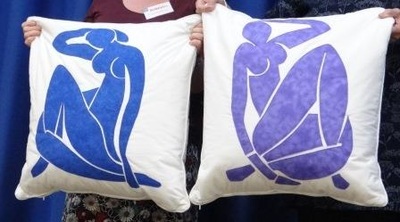 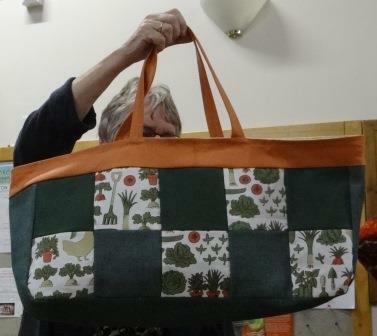 In our first meeting of the programme year we started with a cup of tea and some time to pick up membership cards and programmes, sign up for workshops and squeeze in some fabric shopping before the main event of the evening got underway. 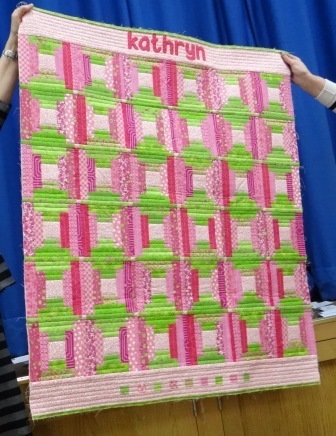 Fun Stitchers visited with their amazing prize winning quilts and talked about how their group began. 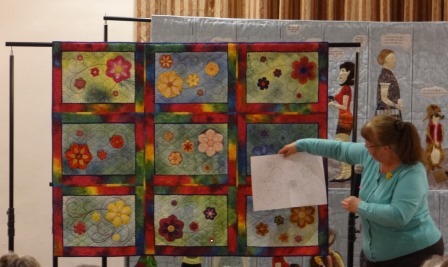 In describing how they work together to produce each quilt, they talked about their inspiration and pointed out key features in each panel. 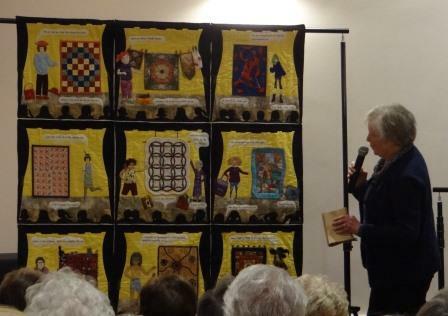 It was a truly inspiring evening. 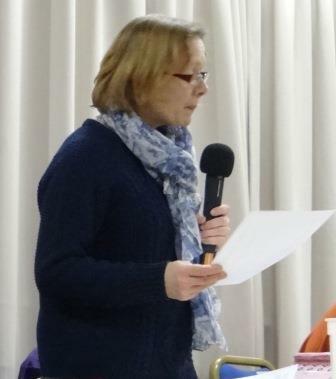 The final meeting of the 2015-16 year was the AGM. 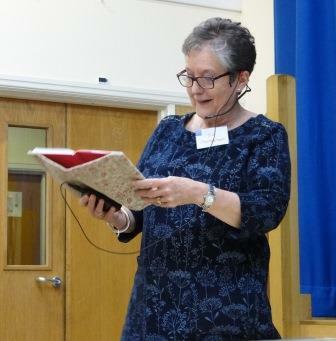 Jacky reminded us of the many lovely events we have enjoyed through the year in her Chairman's Report and Cathy took us through the final published accounts for 2015. 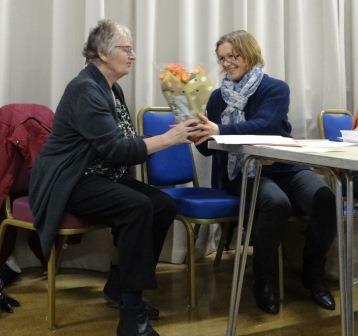 Jacky has served on the committee for a number of years (the last 3 as Chair) and is now retiring. 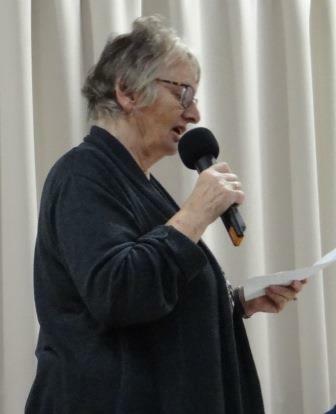 We would like to thank her for all her hard work, energy and enthusiasm. 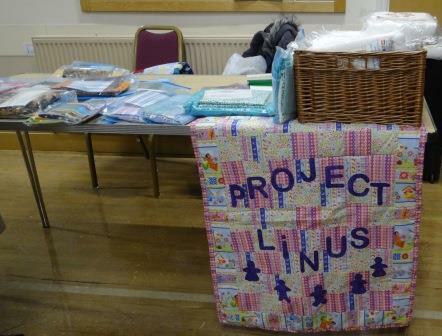 Lyn had a variety of packs available for people to take home and make a Linus quilt over the coming months. 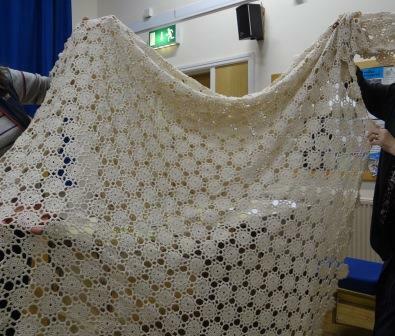 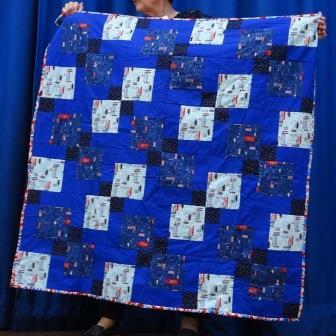 We have a UFO session scheduled for Saturday 18th June when we can get together to sew quilts for Linus. 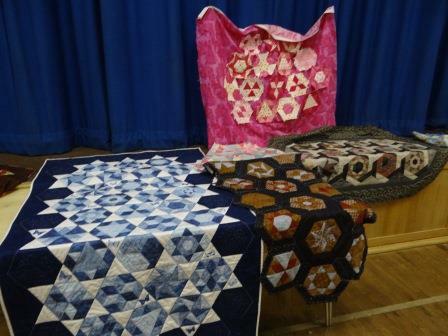 Hopefully with a whole day at our disposal we will be able to complete works in progress as well as start new quilts to give the project a boost. 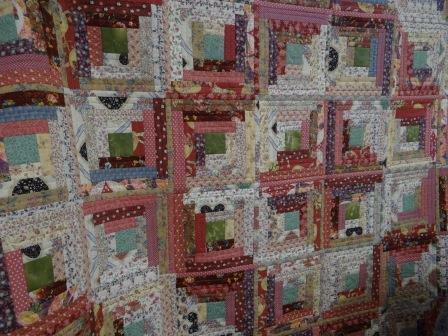 A number of members brought their Block of the Month projects, some complete and some still in progress. 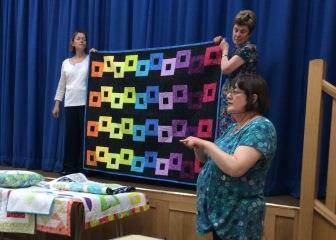 It was lovely to see the different approaches and colour combinations. 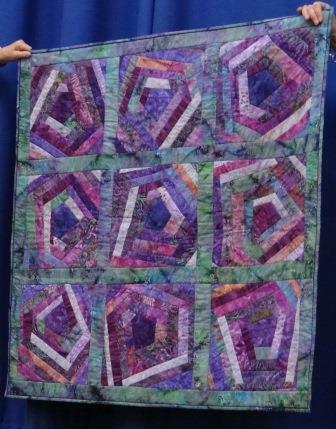 In the first meeting of 2016, we enjoyed a lovely evening with four different 15 minute demonstrations on Japanese folded patchwork, machine applique, fabric printing and fob making. 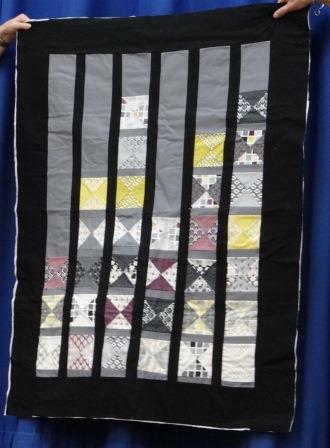 Marion Barlow took us through the steps for machine applique and how to work out which threads work best on our own machines in order to achieve particular effects. 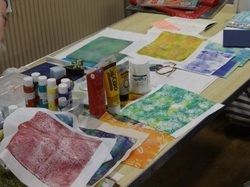 Brenda Sharp demonstrated printing fabric with acrylic paints and took us through a number of techniques for achieving all sorts of colour and texture effects. 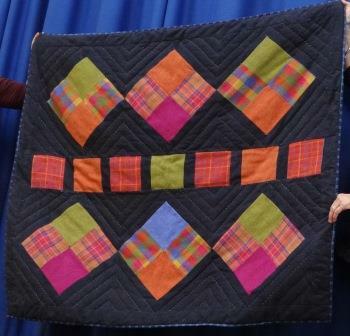 Barbara Harrison showed us how to make little fobs for scissors or keys. 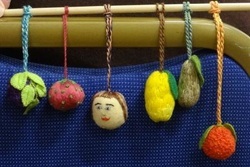 Starting with methods for twisting interesting cords we then moved on to making and stitching the fobs. 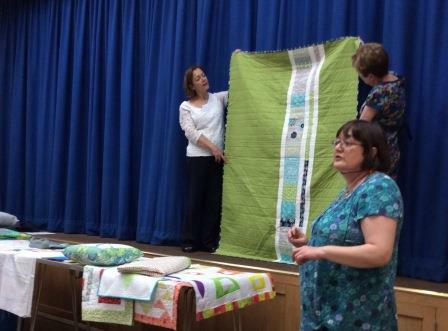 A huge Thank You to Margaret, Jane, Marion, Brenda and Barbara!